Rugby is widely regarded as one of the most played team games in the world and according to recent statistics Rugby world cup is the third most watched sprting competition in the world and we will have 2015 World Cup taking place in home of rugby England. Rugby Union has a quite a decent infrastructure at club level in europe, teams in France and England comepete at the highest level every year in Footballs Champions League style european cup plus the home league systems which are pretty popular and with popularity of sports there comes sponsors and tv money which leads to clubs paying big money to some of the biggest names in the sport and when it comes to Rugby we have New Zealand”s legendry fly half Dan Carter as the highest paid player in the world with yearly salary of £1 million a year at French club Racing Metro. 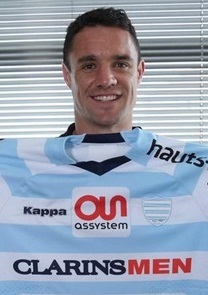 Dan Carter signed a 3 year deal with french club racing metro which is worth £4.2 million in total which is £1.4 million a year making him the highest paid player in history of rugby. He will leave his native New Zealand club Crusaders after the 2015 World Cup and will join racing metro which already has whole list of star names with massive salaries. Matt Giteau has been with Toulon for quite sometime and in 2015 Racing Metro tried to sign him but he rejected a big money move which resulted in him getting a extended lucarative contract with Toulon back in september 2014. We take a look at 10 of the highest paid player in sport of rugby (Rugby Union) and most of the players are playing for european clubs specially in France where 9 of the top 10 highest paid players feature from french teams.